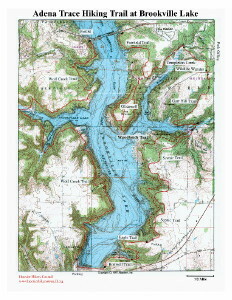 This is our most popular map, which provides detailed planning and hiking information for our signature trail, the Tecumseh. 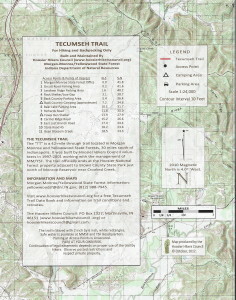 The HHC Tecumseh Trail Map is the only map of this trail available which shows detailed contour lines, parking, and camping information. 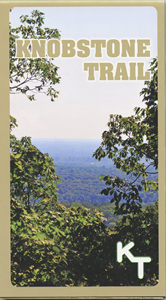 It is highly recommended for anyone wanting to hike parts or all of the Tecumseh Trail. Note: This same map is stocked by Rusted Moon in Indianapolis, JL Waters in Bloomington and the Brown County Convention and Visitors Bureau in Nashville. Be sure to call ahead to ensure the map is available before driving to any of these locations. Please check the DNR’s Morgan-Monroe and Yellowwood State Forest web pages for current property advisories and notices when planning a trip. Tecumseh Trail reroute information may also be found on the HHC Trail Conditions web page. 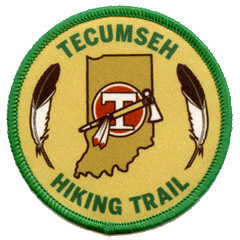 Here’s a Tecumseh Trail Patch to commemorate your Tecumseh Trail hike! 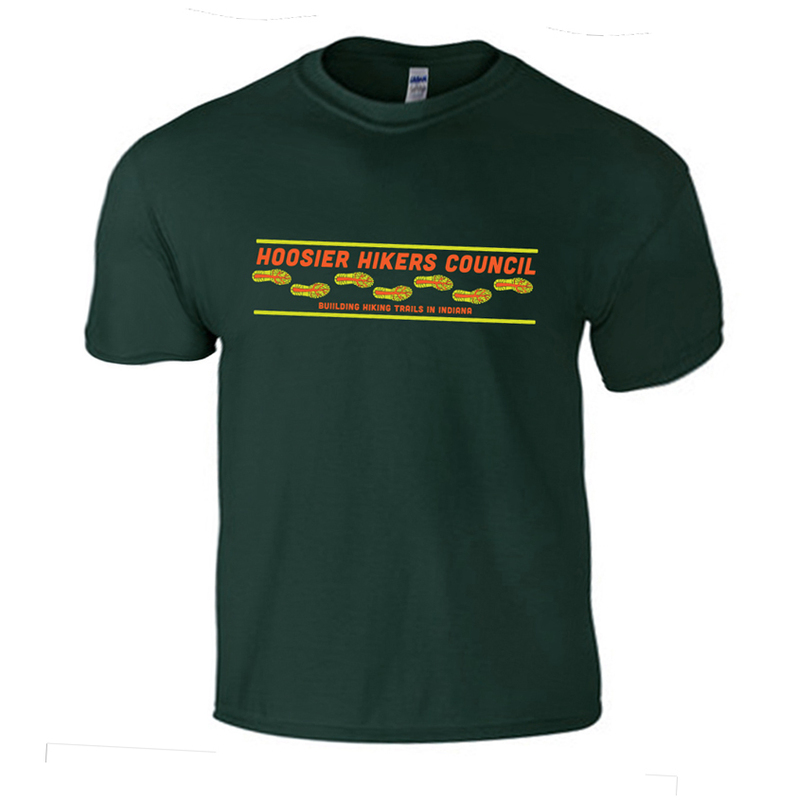 This printed patch is three inches in diameter with an embroidered edge. This is the same map sold by the Indiana DNR, published in 2016. Note: This same map is stocked by Rusted Moon in Indianapolis and JL Waters in Bloomington. Be sure to call ahead to ensure the map is available before driving to any of these locations. 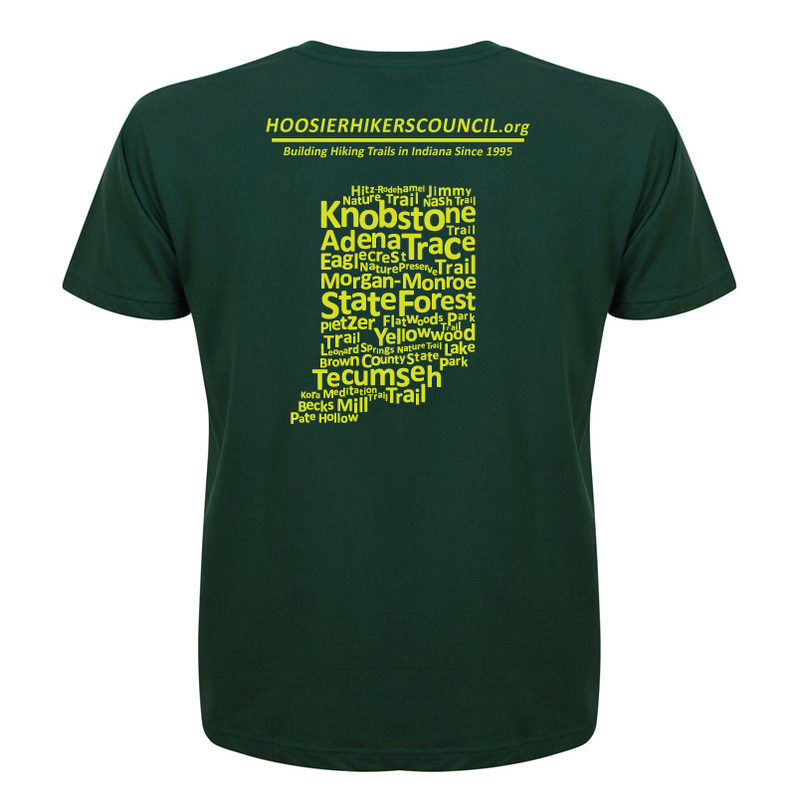 Please check the DNR’s Knobstone Trail page for current trail conitions and reroutes when planning a trip. Information on Knobstone Trail reroutes may also be found on the HHC’s Trail Conditions web page. *Some sizes are presently unavailable. If you would like to add an additional donation, please include the amount below.